We’re coming up to the time of year when your PAYE tax code will change to reflect the new personal allowance. There’s been some confusion surrounding the code to be used for 2016 – 2017 because the chancellor was initially only raising the personal allowance threshold by £20 to £10800. As this met with a lot of criticism the amount was raised. 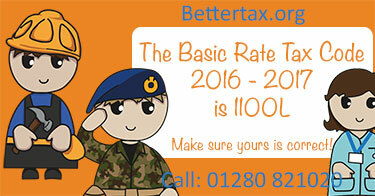 It means you can earn £11000 before being taxed in the year 2016 – 2017. I would post an HMRC link to confirm this but unfortunately I can’t find one that is correct, at time of writing. Theirs are still showing the original figures first proposed by the chancellor – not very useful. Reliable information can be found here. This means your tax code from 6th April 2016 should be 1100L. In the coming weeks HMRC will send out letters advsing you of your new tax code. It is actually important to check your code and ensure it is correct, especially if you have received a tax refund in the past. HMRC have the tendency to assume that any expenses you claimed for before will be exactly the same every year – which is utter nonsense! Unfortunately, if your tax code is incorrect you could end up paying too much, or worse, too little tax. If you pay too little tax HMRC WILL claw it back, even though it’s partly their fault for giving you the wrong code! As a client of ours, part of our service is to deal with HMRC on your behalf and make sure you pay the correct tax. However, even though we are your tax agent, HMRC DO NOT tell us your tax code, so do please look out for any changes and let us know immediately so we can have it corrected. You can find out more about our self assessment tax return service on this link!